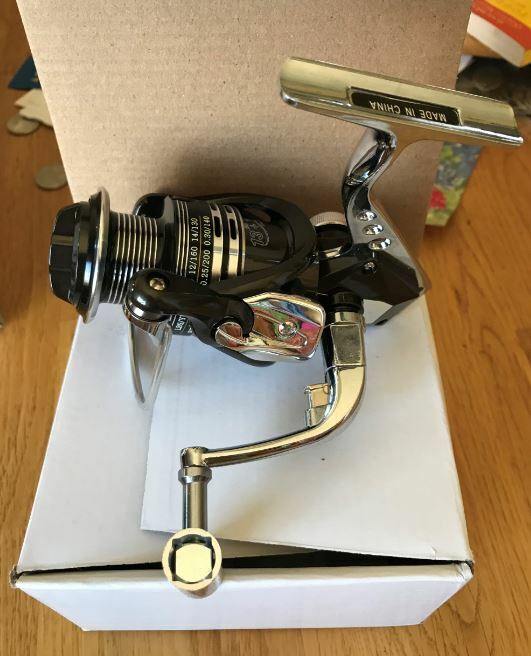 I have been on the hunt for a cheap backup fishing reel over the winter. I picked up the JTTVO J3000 in hopes it will take the job. Today we are going to take a closer look at eh JTTVO J3000, cover the features and cover my initial thoughts. As you might have guessed, JTTVO is not a well known brand and I believe can only be picked up online. Most of the time, I would have passed over a “no name” fishing reel but a couple things stuck out to me. Today, many manufactures are using plastic. I’ll never use a plastic body reel. You will just be asking for trouble out on the water. The JTTVO series fishing reels seem to built well. 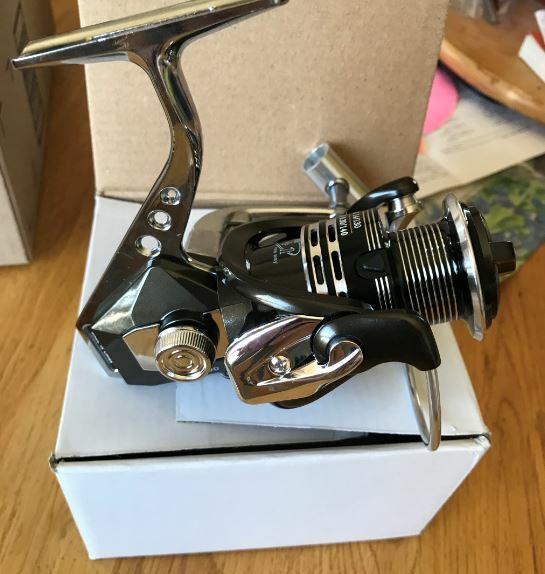 Seeing the above quality parts and noticing the price is what got me to take a closer look and consider this reel. Just under $30 when I purchased, the price is a step down to most best for your buck reels (I’ll be sharing those in another post soon). 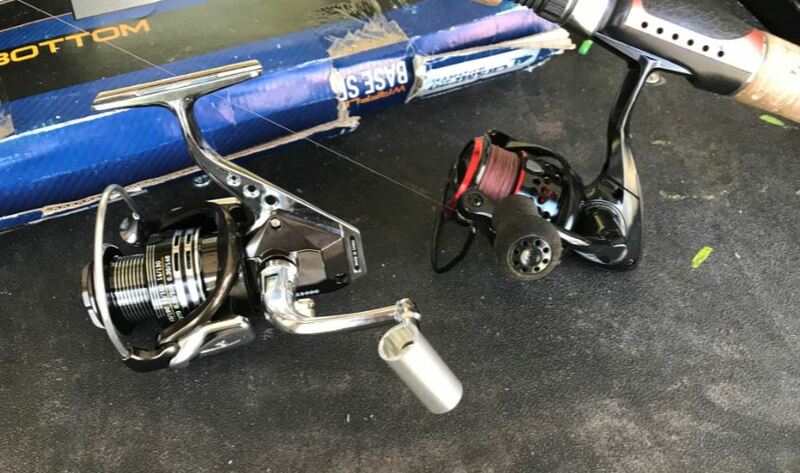 My main bass reel is not an expensive fishing reel in any regards (Okuma). But the price is still closer to $50. I wanted a second set up in case of disaster but also didn’t want to invest a lot in it. The price of the JTTVO is on point to fill my needs and not too much if it breaks. JTTVO claims that “we support the replacement even a full refund anytime”. As to official warranty, I’m waiting to hear back from them on that (just reached out). Many manufacturers don’t throw that out there, especially on a $30 reel. It’s good to know that if I don’t like it, I’m able to return with no issues. So, this is my initial review of the JTTVO J3000. I will update this review once I get some good water time with it. I purchased the J3000 from Amazon (found here) using my prime account. Since it is fulfilled by Amazon, it was at my door in 2 days. It came double boxed. I was pretty impressed with the weight, look and build. Besides being able to go from left handed to right handed, I noticed a nice feature that I didn’t notice before buying this fishing reel. In the above photo, you will see a button on the bottom of the handle. This is a release to fold it in. 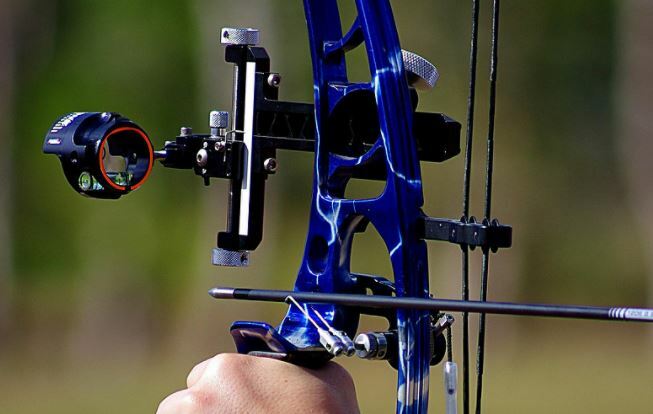 Most other reels have a screw cap on the other side of the reel to loosen the handle allowing you to fold the handle in. I have never seen a fishing reel with a button. If they are out there, I have never seen one. This feature made my day and will be used often. In the above photo, you see the JTTVO J3000 next to my Okuma C-30. The J3000 is larger than the Okuma but not as much as it may seem in the photo. The C-30 is on the small side of fishing reels and I say that the J3000 is the size you would expect to see on a bass rig. 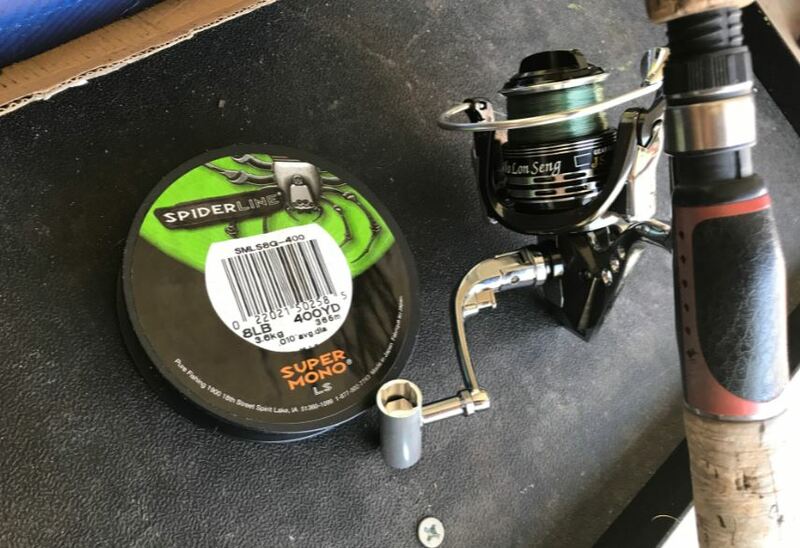 I paired my new reel with some 8LB Mono SpiderLine. The reel lined well laying the line out as even as you can get. The smooth action of the internal parts gives this fishing reel a nice feel. No issues to report. For testing purposes, I used a small 3/0 (1/4 oz I think) slit shot weight to test casting. Most of what I will be using while on the water will be much heavier than this. I just wanted to see how smooth the casting is and what type of control I can get out of the JTTVO J3000. Using the 3/0 sinker, I was getting about 15 yards with a flip of the wrist. The cast is smooth and no binding or catching. Now, the rod and line have something to do with cast quality as well. I’m using a 6.5 foot medium/heavy action rod and brand new line. But I can’t complain. I can only attest to my testing situation for now. I will share more information here once I get out on the water and bring in some pigs using this reel. 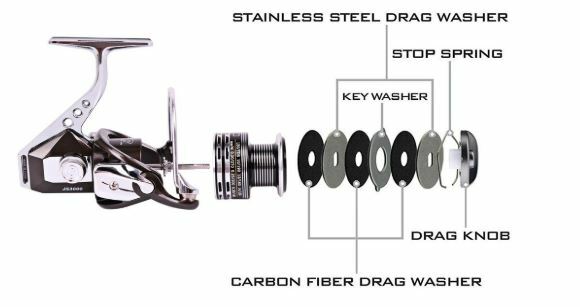 The handle has an anti-reverse system that doesn’t give anything back when your setting your hook. This is a nice feature as well. See, on some reels when you pull on the line, the reel will reverse a half inch or so. This takes away from setting the hook and puts a jolt on your line when set. When anti-reverse is used, there is no play from where your handle stops and when the line gets hit with tension. The one thing I will say, is that when reeling in, I did hear a little noise from this reel. Not much but someone may not like that. I will also say that I went from the box to testing. A little fishing reel oil may fix this. Okay, so this isn’t the final conclusion as I will be updating this review in the next few weeks after getting some water time. We’ll say the initial conclusion for now lol.